Late this afternoon, we went by the Rio San Gabriel dog park. There were quite a few dogs racing around the enclosure. 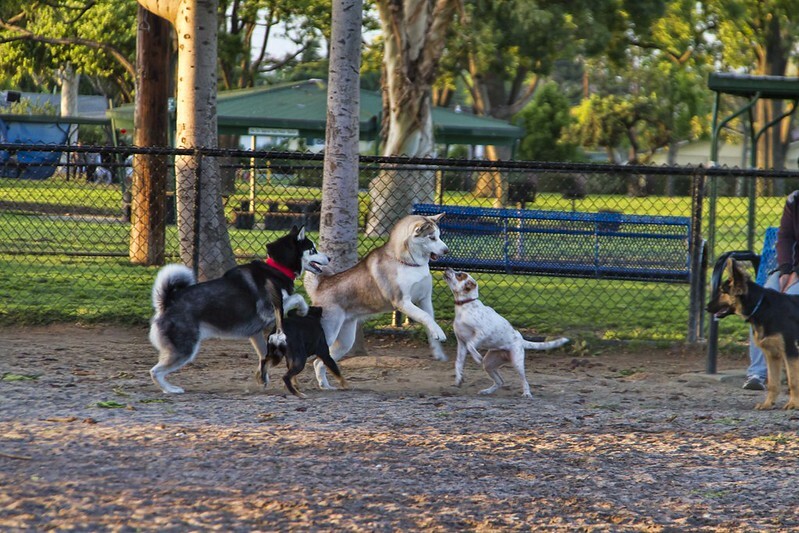 Several of the dogs were huskies, who are so fun to watch when they are at play. I love dogs! "A person can learn a lot from a dog, even a loopy one like ours. Marley taught me about living each day with unbridled exuberance and joy, about seizing the moment and following your heart. He taught me to appreciate the simple things—a walk in the woods, a fresh snowfall, a nap in a shaft of winter sunlight. And as he grew old and achy, he taught me about optimism in the face of adversity. Mostly, he taught me about friendship and selflessness and, above all else, unwavering loyalty."